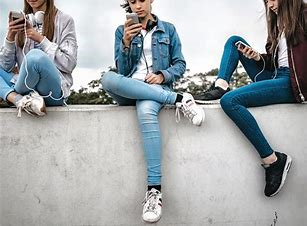 For this week’s Tech Watch on Women to Watch with Sue Rocco, Mary Manzo touches base on the fact that social media usage has had a wide impact on Generation Z. There are approximately 2.6 billion users of social media and the way these sites are used can have positive and negative impacts. At this point in time, Generation Z does not know a world without smart devices. Some reports say that they are spending over 3-4 hours daily using these devices, but it could be more. Mary felt the need to broadcast this segment after reading a very sad article about a young girl experiencing cyberbullying on social media. These platforms can create a lot of anxiety for girls. Often times they’re harassed by others which can damage their self-esteem and reputation. On top of that, girls often share personal information which leaves the door open to predators or online scams. In one survey Mary saw that 85% of girls receive a friend request from strangers and 44% of those girls accept the requests. When do we know it’s time to acknowledge that all of this is a problem? Mary urges listeners to get educated on this topic. Some findings can be shocking, and it’s important to keep our younger generations safe from online danger. For any questions, comments or concerns you can email Mary at mary@pathwayscg.com.